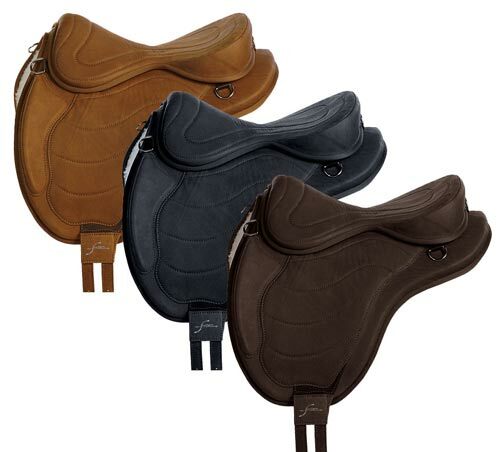 We understand that you might like to try a treeless saddle before buying and so we have several demonstration models that we send out to clients to try for a week. We also have some treed sales which can be trialed but this would usually involve a fitting as well. Please contact us if you are interested in these. 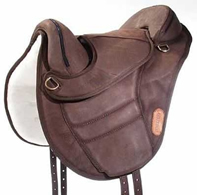 There is a charge of £45 for the week’s use (inclusive of outward postage) for the saddles and you’ll need to budget for the return postage via a next day insured service which would be around £20 by Parcelforce. 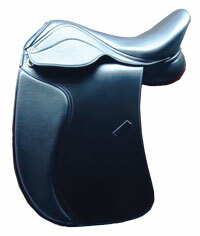 We can also arrange the collection of the saddle from you. 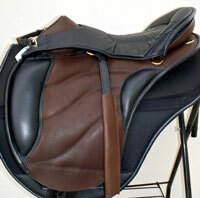 We will need a credit card to which we will charge the loan fee and hold on file until the saddle is returned. Should you decide you’d like to purchase a saddle within 30 days from the end of your trial we will send you out a new saddle minus the £30 hire charge. 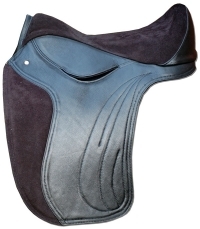 We will also be able to provide you with suitable treeless pad, dressage girth and stirrup leathers to go with the saddle, if needed (for no extra charge). 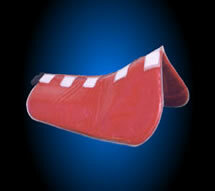 We can also hire a Port Lewis Impression pad with or without a saddle hire, to check the fit of your saddle. The cost for this is £50 including delivery and collection. If you’d like to register your interest to go on the trial list please use our contact form. We’ll let you know when you can expect your saddle and arrange payment details with you. 1. 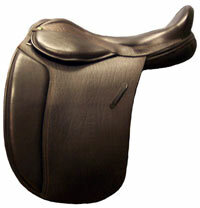 You have 7 clear days to try the saddle after its arrival. 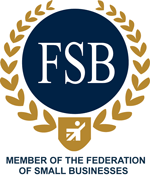 On the next business day after day 7 you should return it to us using a guaranteed next day service. Please contact us to let us know it’s on the way back. 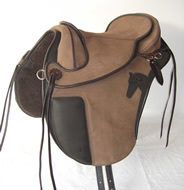 We highly recommend you use an insured service as we will charge the full price of the saddle if it doesn’t get back to us. If you prefer, we can arrange a collection from you. 2. If for some reason the saddle is going to be late back do keep us informed. 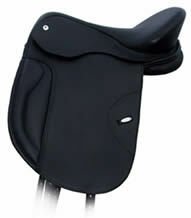 We may charge an extra £10 per day the saddle is delayed. 3. Please treat the saddle carefully. If it arrives damaged let us know at once. In case of exceptional damage we reserve the right to make a charge for repairs or replacement. 4. This offer only applies to the UK. If you are in Europe please contact us and we may be able work out an arrangement to take account of different postage times and costs. Please contact us for any enquiries or if you wish to arrange a trial.